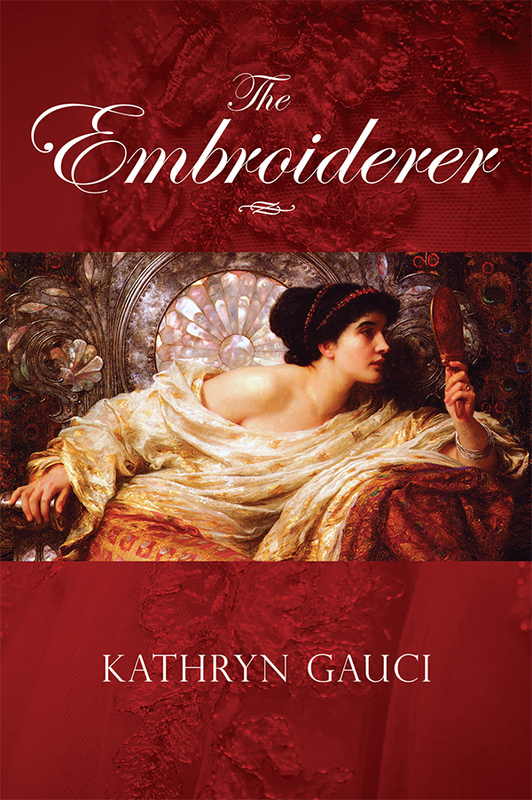 The Embroiderer can be bought at all good bookshops and online at amazon and book depository. During the early hours of Wednesday, September 13, the fires in the Armenian quarter began to burn out of control. 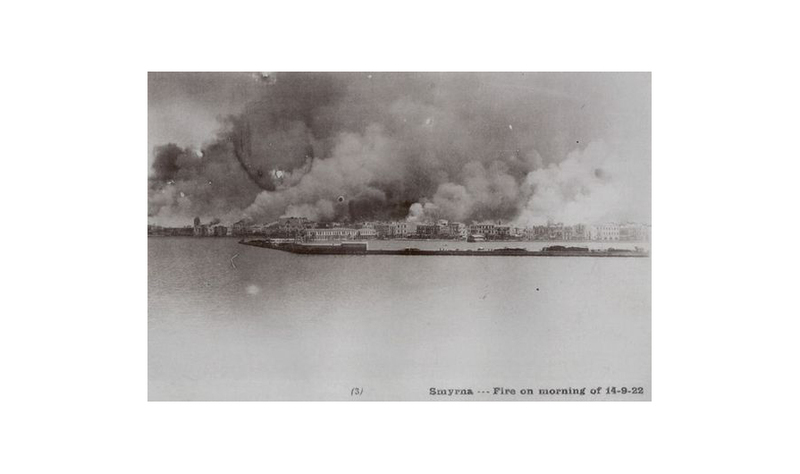 Fanned by the stiff breeze, the flames rapidly spread towards the European quarter and the quayside and there was little that Smyrna’s fire brigade could do to contain them. All those seeking protection in the city’s churches, schools, orphanages, and hospitals were now faced with the choice of being burned alive or of fleeing into the hands of the waiting Turks. As the sun rose on what should have been a magnificent autumn day, deafening explosions spewed forth flames and debris into an already smoke- filled sky. Knowing that they faced certain death if they stayed a moment longer, Vangelis and Sophia gathered everyone together and prepared to leave. One glance at the seething mass of people heading past La Maison du l’Orient for the quayside told them this short journey was fraught with danger, every step of the way. She sank to the ground. Vangelis threw down his suitcase, fastened his precious laouto onto his back and pulled her up. She was like a rag doll in his strong arms. Uttering a small prayer to herself, Sophia locked the door for the last time, pocketed the key, and picked up her suitcase. She took one final look at the familiar brass plaque on the wall: La Maison du l’Orient. It had been her life. This time she would have to leave it all behind. With the other hand, she clasped her youngest daughter’s hand so tightly that Nina screamed in pain. 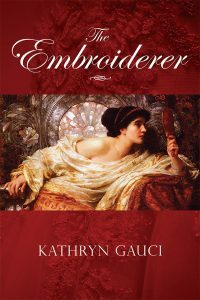 For once in her life Maria lost her sense of self-importance—survival now being uppermost in her mind. She heeded her mother’s words and stayed close to Nitsa, while Leonidas took care of his grandmother. Like a tidal wave, the crowd swept them along Rue Franque and into Rue Parallele. They were almost there when she turned once more to check on Vangelis and Anoush. They were nowhere in sight. In the chaos and confusion, they had become separated. Pushed forward by the crowd, it was impossible to turn back. She reassured herself that they were all heading in the same direction and was certain that they would reappear. 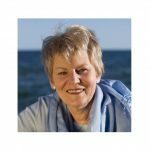 When they turned into the side street, Sophia caught a glimpse of HMS Iron Duke in the bay. Suddenly she heard screams. Turkish soldiers, their rifles aimed at the crowd, blocked their path. The people became hysterical, desperately showing their papers in an attempt to be allowed through. Somehow in the crush someone had picked her pockets clean. Without the precious papers they were doomed. The soldiers wasted little time in pulling the men and young boys aside as political prisoners, or tearing away the young girls and leading them into the alleyways. Shots rang out intermittently. Nitsa and Sophia were well aware of their fate if the soldiers got their hands on them. They were both strikingly beautiful—the men would fight like dogs over them. More than herself, Sophia feared for Maria and Leonidas. They would spare them no mercy. Tears rolled down Maria’s cheeks and her body shook violently. Forcing their way through the crowd, they managed to reach the narrow alleyway. Minutes later they had locked themselves inside the empty building. The place was in darkness. Nitsa guided them through a series of rooms until they came to the café itself. The windows and doors were firmly boarded up. They could not get out. They could not go back. The American nationals had congregated in the Theatre de Smyrne next door. Marines lined the short distance to the waiting boats that would transport them to the safety of the warships. In sheer desperation, Leonidas tore at the wooden boards until his fingers bled. It was useless. His cry for help seemed like a whisper amidst the cries of thousands of refugees. At the sight of Leonidas, normally so calm, so controlled, Maria screamed in fear. Only Photeini was able to block out the events: she had entered that world of madness where nothing around her seemed to matter any more. Then as if struck by a blow, she took a step backwards. The man was Turkish and he called out for help to break the door down. In the semi-darkness they ran back through the rooms just as Turkish soldiers broke down the door. With nowhere to turn and soldiers swarming through the premises, Nitsa led them to a trapdoor that opened into a small space underneath the stage. One by one, they crawled under the stage as Nitsa held open the trapdoor. Sophia was the last to enter, leaving little room for anyone else. She turned to help Nitsa just as the trapdoor slammed down on her. In the darkness, they heard the sound of her footsteps running across the stage above them. The soldiers were everywhere, tearing open every possible hiding place. Nitsa was led onto the stage at rifle point. The men laughed and jeered, making crude remarks. ‘Where are the others?’ the soldier asked. ‘I know her,’ one of the men shouted. ‘She’s the Greek singer—Nitsa of Smyrna. Sing us a song, lovely lady, a Turkish song.’ He jabbed the bayonet of his rifle into the small of her back. Nitsa turned to face him with a look of hatred. He was a hulk of a man with a hardened face, a fresh scar across his left cheek, narrowly missing his eye. She was determined not to show any emotion. ‘I don’t sing for dogs,’ she answered curtly. The man raised his rifle and struck her with such force that she fell heavily to the ground. ‘We’ll see who the dog is,’ he cursed. In the minutes that followed the men rushed forward taking their turn at violating the woman who had selflessly given her own life to save others. Underneath the stage, Sophia held Nina’s head to her breast and covered her ears. Like Leonidas, Maria put her hands over her ears to block out the horror of the scene unfolding above them. Throughout the terrible ordeal, Nitsa never uttered a sound. Bravely, she refused to let her spirit be broken. Just above her head, Sophia caught sight of Nitsa’s red fingernails gripping the floorboards. Tenderly, she put out her hand to try to touch them—to reassure her of their love. A gunshot rang out and blood dripped onto Sophia’s arm. ‘The nightingale sings no more,’ laughed one of the men. The soldiers left. As suddenly as it began, it was all over. When they were sure it was safe, Sophia, Nina, Leonidas, and Maria came out of hiding. Nitsa’s body lay in the exact spot from where she had once stood and entertained her many admirers. 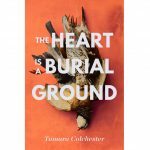 A single bullet had pierced her heart, and her throat was severed with such force that she was almost decapitated. Leonidas pulled her dress down over her thighs. By now the fire had reached the quayside and the sounds of buildings crashing to the ground terrorized them. By a stroke of luck, the soldiers had left the door ajar. With not a moment to spare, they made a dash for the quayside and freedom. The humanitarian disaster that greeted them was more than they could ever have imagined. The elegant buildings along the waterfront were on fire and the heat was so intense that they found it hard to breathe. Worst of all, the last boats evacuating all foreign nationals to the safety of the warships had left. They were stranded.